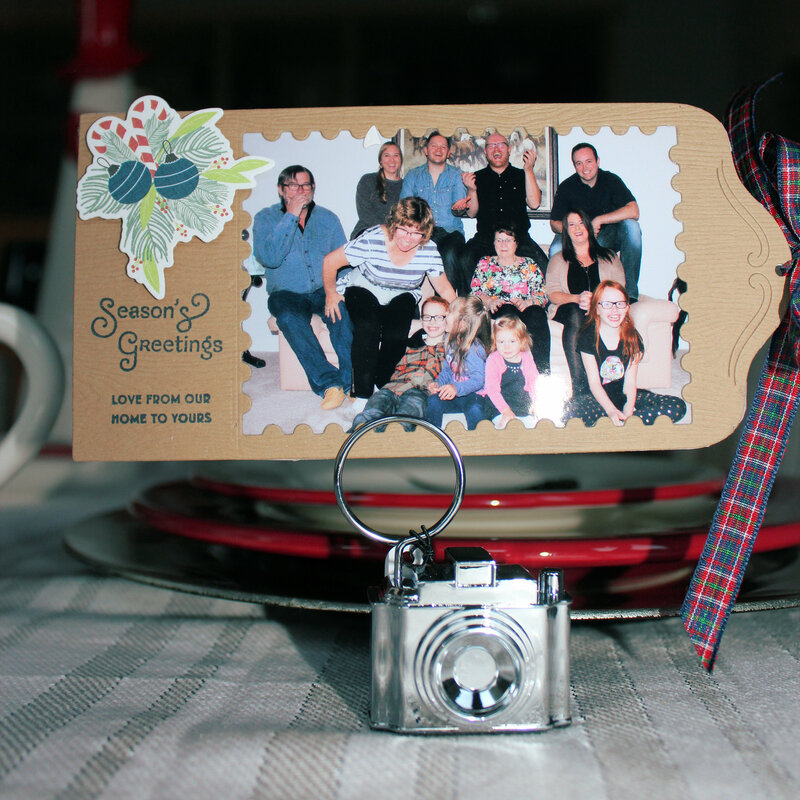 The theme this week was to make a photo card. I had already used the backer piece from the mailbox in the Post & Parcel kit to make several large tags, so I already knew it would work well for a photocard as well. I decided to use a wacky pose that occurred when my camera’s self timer went berserk and starting taking picture after picture blinding us all with the flash. I think the various expressions on everyone’s faces is more fun than the formal pose that eventually was captured. 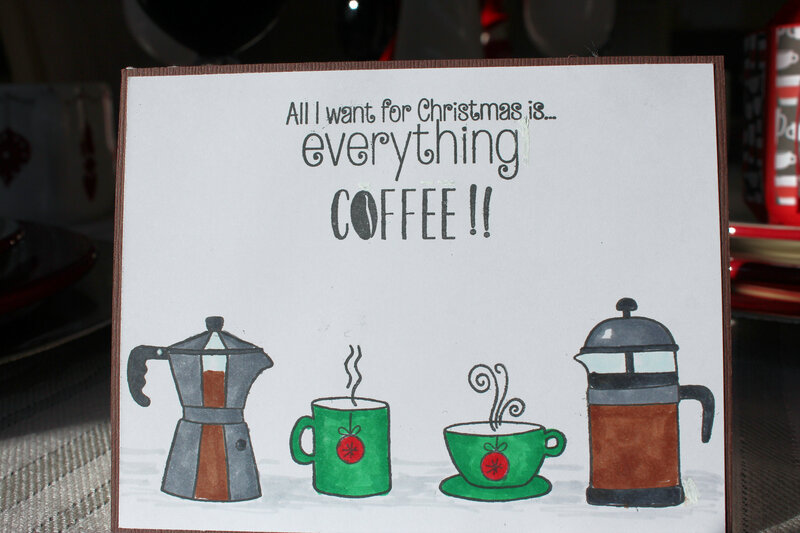 Coffee Lovers Winter Bloghop Day 8 too! This is probaably my final card for the winter bloghop, otherwise no one will be getting either Christmas cards or gifts from me this year. This card was a last minute thought, and it turned out to be one of my favorites. 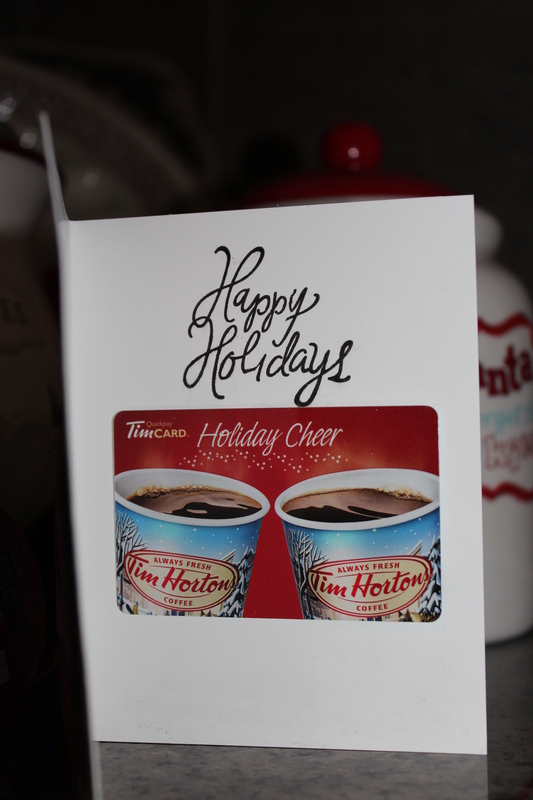 I will use it together with a gift basket of coffee related items for a coffee loving friend. 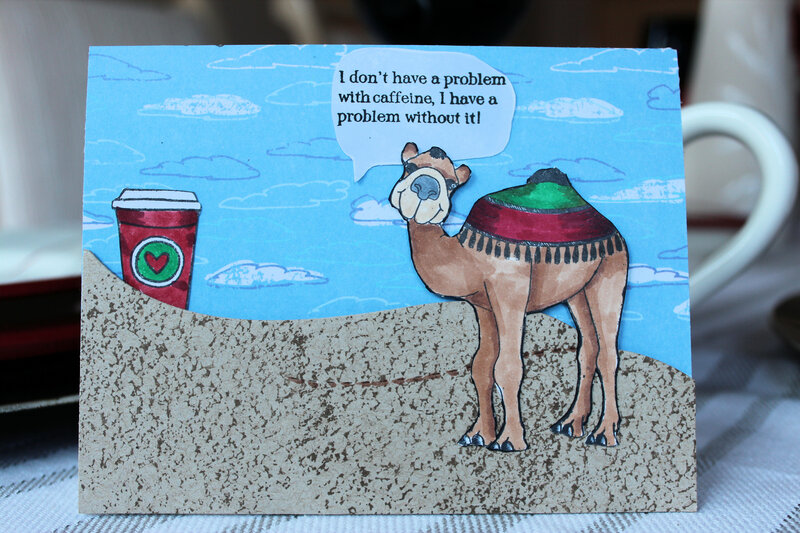 Here is another Christmas card/coffee card combo. If I had more time, this one probably deserves a do over. I like the separate elements but this is a case where the sum of the parts did not quite add up to the whole. It is a bit boring but OK enough not to be put in the shredder. 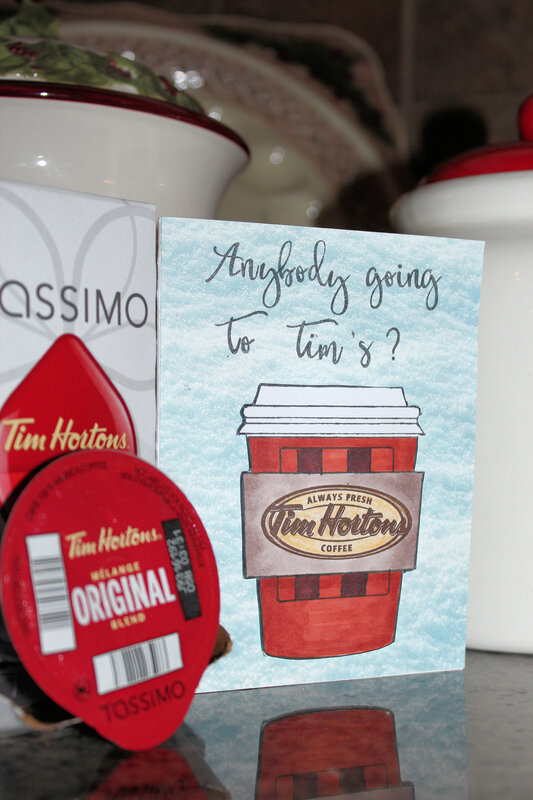 I was falling a bit behind both in posting coffee cards for this blog hop and in making my Christmas cards, so I decided to combine tasks for a few cards. Here is the first one. 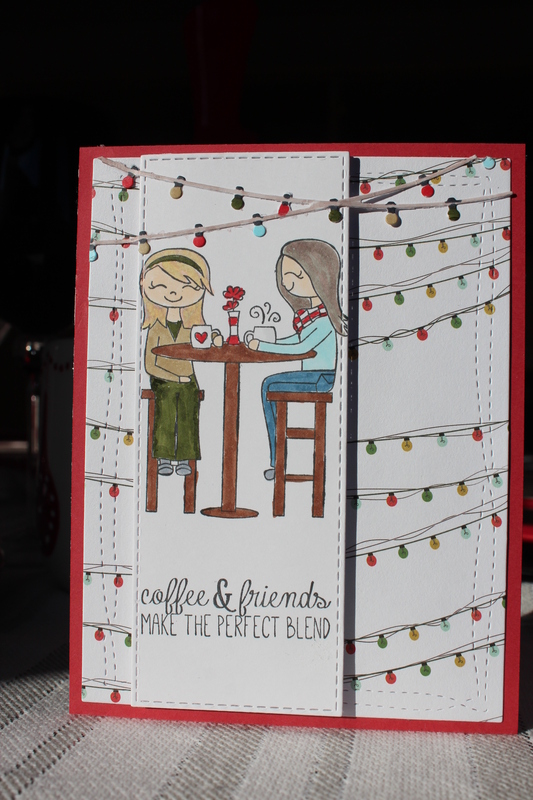 It is a card for a friend whose friendship was built up mostly by the occasional coffee in a local coffee shop. This will be her Christmas Card. 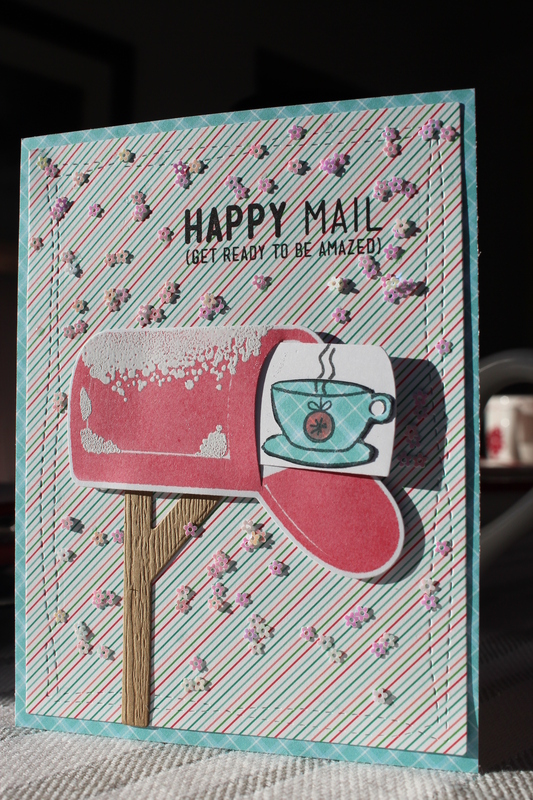 Today I combined four different stamp sets to create this little “Coffee Mirage” scene. I am always happy when I pull out one of my first stamp sets and use it again. Justifies, why I just grow my huge collection and never de-stash. Anyway, I know that we are to combine coffee with winter as the theme for the bloghop. So it is winter in my desert scene, but how do I show it? By making the coffee cup look like the new Starbucks Winter Cup, that is how. Sometimes the best ideas come when you think you have no idea at all. 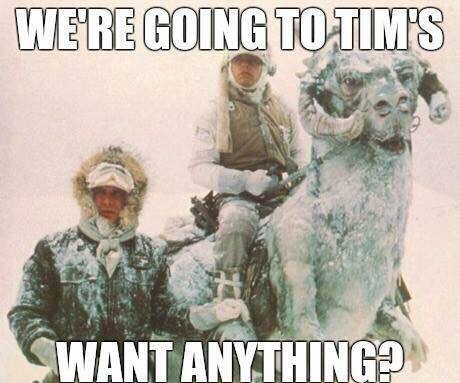 Such was the case today. I had a new little stamp set from Waffle Flower that was comprised of a number of tiny little drinks. I think it is meant for planners, and the only planning I ever do is to try and get dressed by noon. 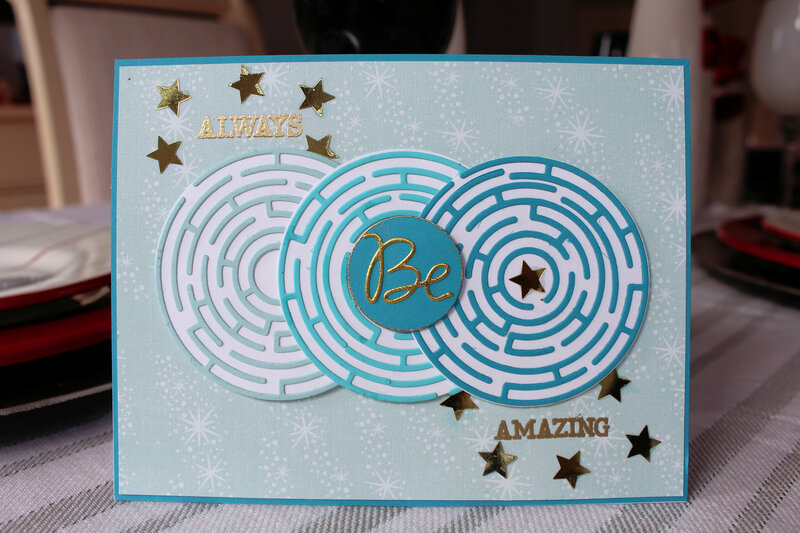 Nevertheless, it caught my eye, and I wanted to make a card for the blog with it. Anyway, I think the result is cute and I also got to use one of the new mini sized Action Wobblers behind the Octopus. 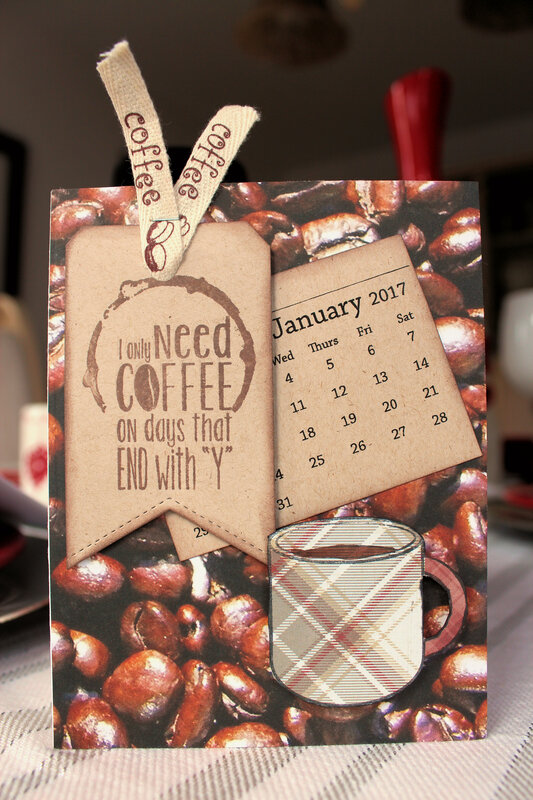 Is it possible that I am ahead of schedule in making coffee cards for the Coffee Lovers Bloghop? I actually have two cards in the wings almost ready to be posted. Mind you, I haven’t made all of my Christmas Cards yet. That is how it goes. Sometimes I have trouble thinking of what card to make, but in the process of making that first one, ten more ideas pop into my head and then I can’t stop making more coffee cards even though I need to be making Christmas Cards. This card comes compliments of Simon Says Stamp……………………no really it was complimentary with my recent purchase from them. How nice is that? Actually I already used the coffee beans from this set on the Bean Hunting? card so I really getting my “no money’s worth” from this set.